(2014/LSU) clothbound, english, 218x137 mm, 240 pages. An American institution, Sun Records has a history with many chapters—its Memphis origins with visionary Sam Phillips, the breakthrough recordings of Elvis Presley, and the studio’s immense influence on the sound of popular music. But behind the company’s chart toppers and legendary musicians there exists another story, told by Barbara Barnes Sims. In the male-dominated workforce of the 1950s, 24-year-old Sims found herself thriving in the demanding roles of publicist and sales promotion coordinator at Sun Records. 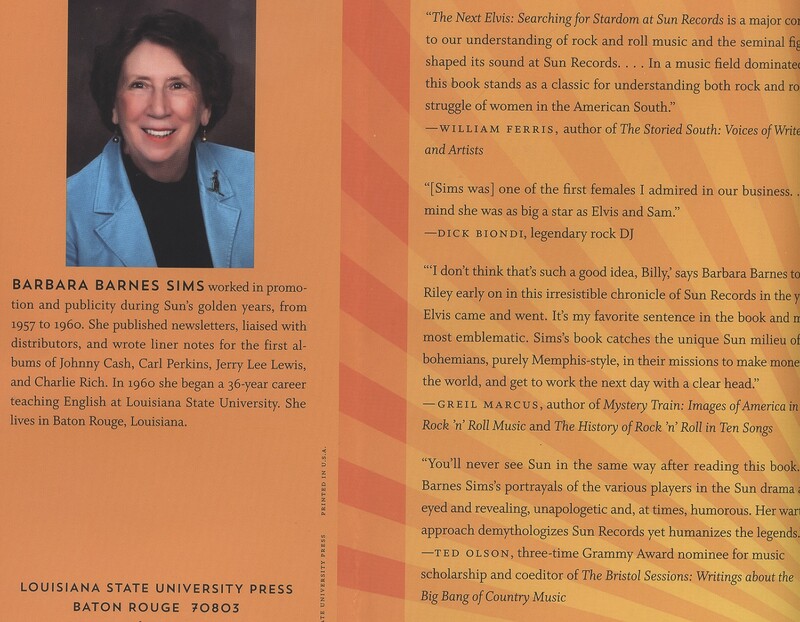 Sims’s job placed her in the studio with Johnny Cash, Roy Orbison, Jerry Lee Lewis, Charlie Rich, Carl Perkins, and other Sun entertainers, as well as the unforgettable Sam Phillips, whose work made the music that defined an era. 'The Next Elvis'- Searching for Stardom at Sun Records' chronicles Sims’s career at the studio, a pivotal time at this recording mecca, as she darted from disc jockeys to distributors. Sims not only entertains with personal stories of big personalities, she brings humor to the challenges of a young woman working in a fast and tough industry. Her disarming narrative ranges from descriptions of a disgraced Jerry Lee Lewis to the remarkable impact and tragic fall of DJ Daddy-O Dewey to the frenzied Memphis homecoming of Elvis after his military service. Collectively, these vignettes offer a rare and intimate look at the people, the city, and the studio that permanently shifted the trajectory of rock ’n’ roll. 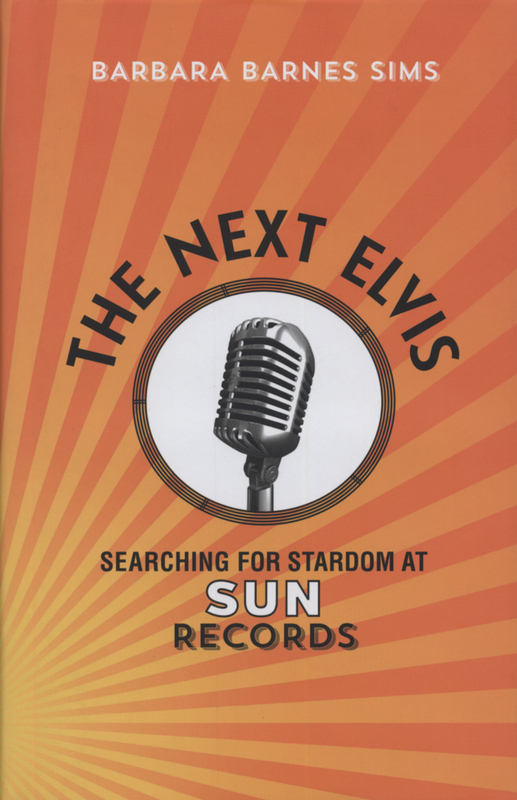 Customer evaluation for "The Next Elvis - The Next Elvis - Searching For Stardom At Sun Records"